State Song "I Love You, California"
Disneyland: Theme park in Anaheim, California. Knott's Berry Farm: Amusement park in Buena Park, California. Universal Studios Hollywood: Theme park in Universal City, California. San Diego Zoo: Zoo in San Diego, California. Golden Gate Bridge: Bridge in San Francisco, California. Hollywood Bowl: Concert hall in Los Angeles, California. Yosemite National Park: National park in the Sierra Nevada region in California. California's Great America: Amusement park in Santa Clara, California. The Queen Mary: Floating hotel in Long Beach, California. SeaWorld San Diego: Theme park in San Diego, California. Hearst Castle: Historic castle in San Simeon, California. Santa Monica Pier: Recreational and entertainment center in Santa Monica, California. Sequoia National Park: National park in the southern Sierra Nevada region in California. Six Flags Magic Mountain: Theme park in Valencia, California. Griffith Observatory: Observatory in Los Angeles, California. Legoland California: Theme park in Carlsbad, California. Balboa Park: Park in San Diego, California. Monterey Bay Aquarium: Aquarium in Monterey, California. Los Angeles Zoo: Zoo in Los Angeles, California. 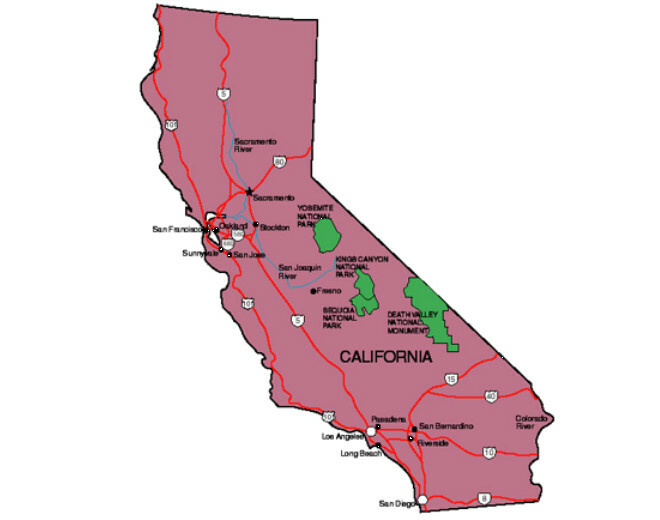 California was the name given to a mythical island in the popular early 16th century Spanish novel Las Sergas de Esplandi�n. When the Spanish started exploring the Pacific coast, they applied this name to the Baja California Peninsula. That name stuck. Spanish navigator Juan Rodr�guez Cabrillo became the first European in recorded history to sight the region that is present-day California in 1542. The first McDonald's restaurant opened in San Bernardino in 1940 by brothers Richard and Maurice McDonald. San Bernardino County is the largest county in the United States, totaling 20,105 square miles. Castroville is known as the Artichoke Capital of the World. In 1947, Norma Jean was crowned Castroville's first Artichoke Queen. She later became a world-famous actress by her screen name, Marilyn Monroe. California has more national parks than any other state in USA. Of the 59 national parks in USA, California has 9 national parks. On Jan. 24, 1848, James W. Marshall discovered gold at Sutter's Mill, starting the California Gold Rush and bringing settlers to the state in large numbers. William Todd designed the original California flag. He was the nephew of Mary Todd Lincoln, Abraham Lincoln's wife. 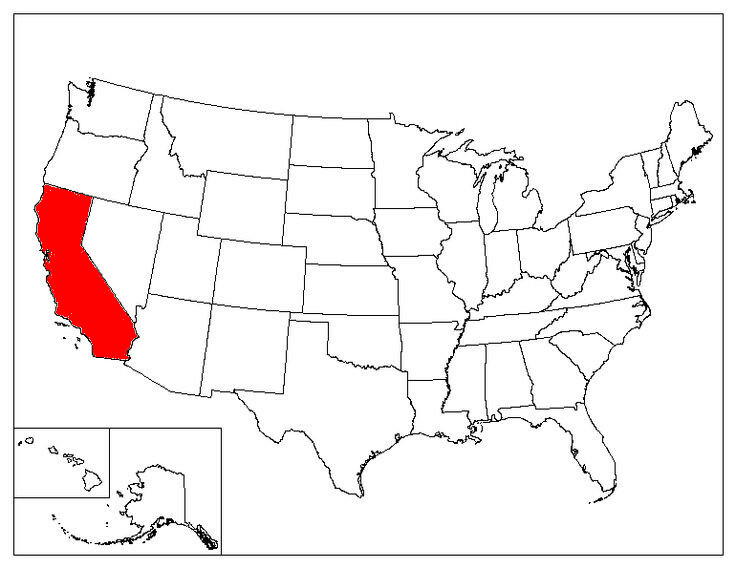 California is the only state that has hosted both the Summer and Winter Olympics. At 14,505 feet, California's Mount Whitney is the highest peak in the lower 48 states. In 1996, California became the first state to legalize marijuana (weed) for medical use.